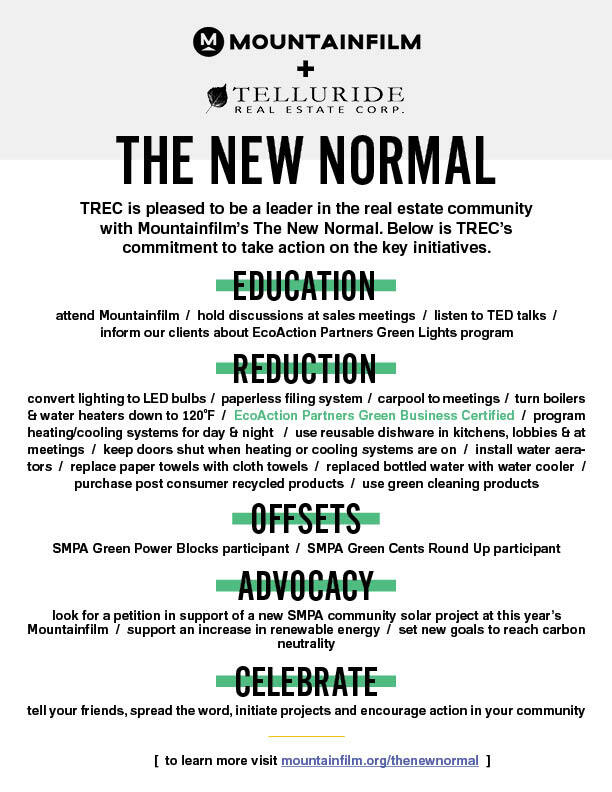 TREC is proud to be a leader in the Telluride real estate community with Mountainfilm's The New Normal. The New Normal addresses climate change, the most critical issue of our time. Individuals, groups, organizations, agencies, and businesses are embracing this grassroots movement to actively battle climate change with five key initiatives. Will you join us in The New Normal?